Unleash the monsters once again! Smashing out of the blockbuster event that terrorized the Marvel Universe comes a high-action sci-fi series starring a group of massively monstrous (and monstrously massive) do-gooders: Aegis, Slizzik, Scragg, Mekara and Hi-Vo! 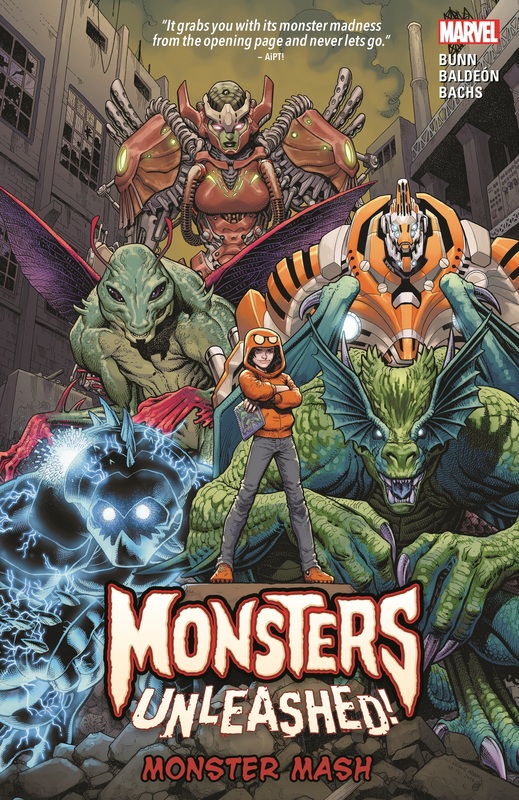 Together with monster-masher Kid Kaiju and monster-hunter Elsa Bloodstone, they’ll take on gargantuan creatures and protect the planet from ruin and disaster. But will the rest of Earth’s heroes allow them to help — or will they also be deemed dangerous? 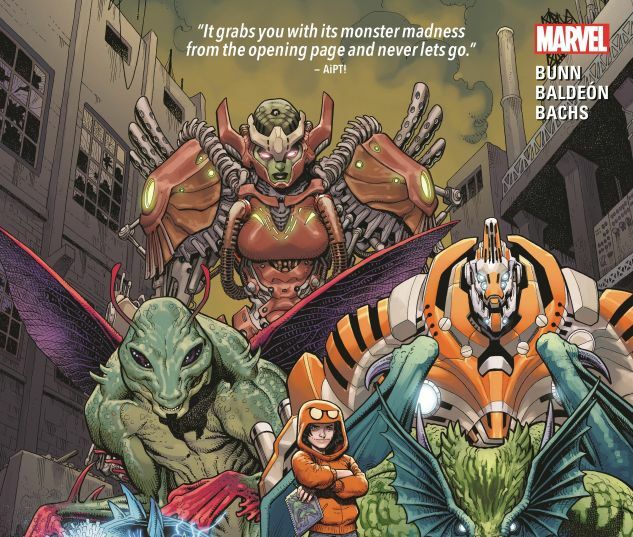 The villains have their eyes on this new team as well — but who are the new Intelligencia, and why are they obsessed with Kid Kaiju and his oversized friends? Can Elsa protect them? And whose side is Lady Hellbender on? Brace yourself for an all-out brawl! 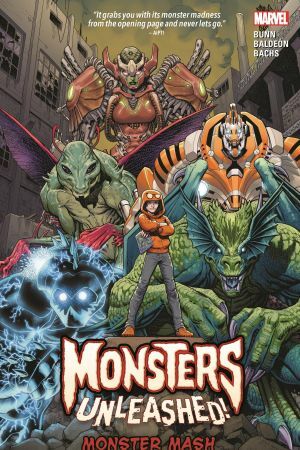 Collecting MONSTERS UNLEASHED (2017B) #1-5.